In order to prove the Vaseline Intensive Care product range’s claim – “dry skin healed” – the Vaseline team was in need of a solution that had to be truly consumer engaging and enlightening via various channels. “Dry Skin Healed” – was the main claim of the Vaseline Intensive Care product range. The Vaseline team needed a unique solution to help with their product range activation via 1:1 and mass-marketing which both proved this meaningful claim and engaged their consumers. Understanding Vaseline’s needs and creating an activation tool that allows the consumers to experience the brand was the challenge USP solutions faced. 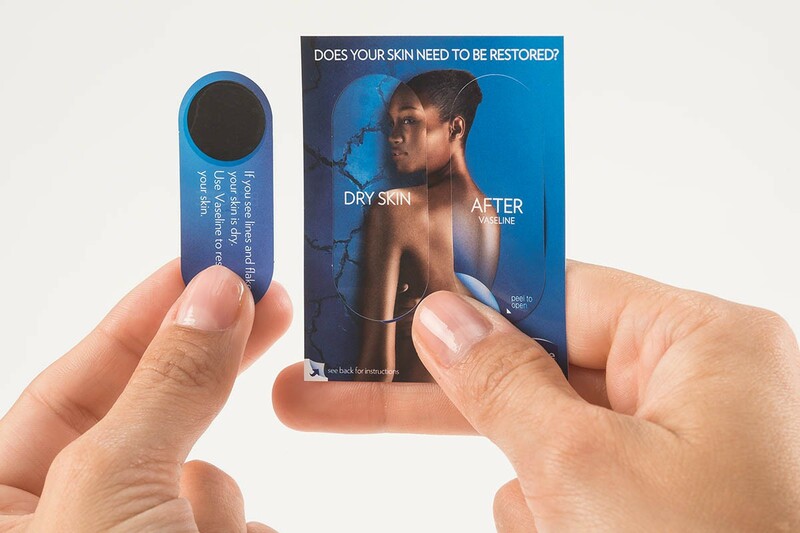 The USP activation experts knew that in order to prove Vaseline’s claim “dry skin healed” the activation card had to educate the consumer about their hydration level. Our experts decided that the USP Solutions’ Hydration Tester Technology would be a perfect match for the hydration claim. 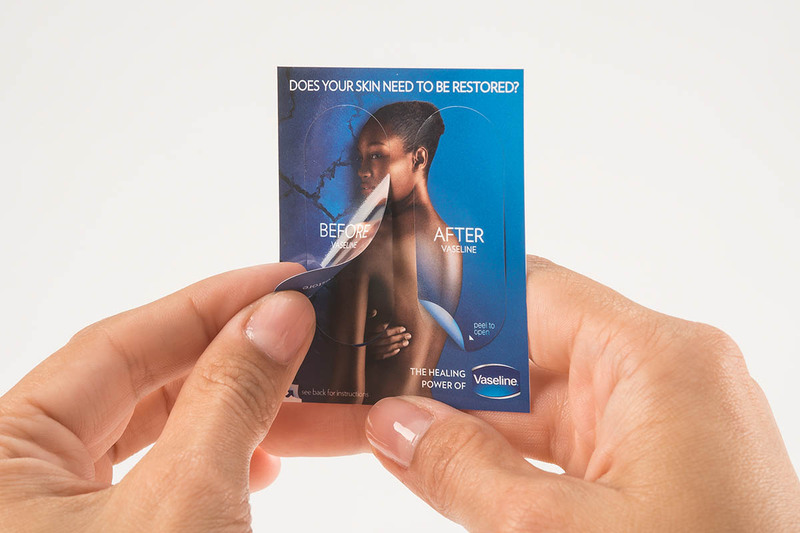 Afterwards prototypes – varying in shape and size – were sent to the Vaseline marketing team for assessment. 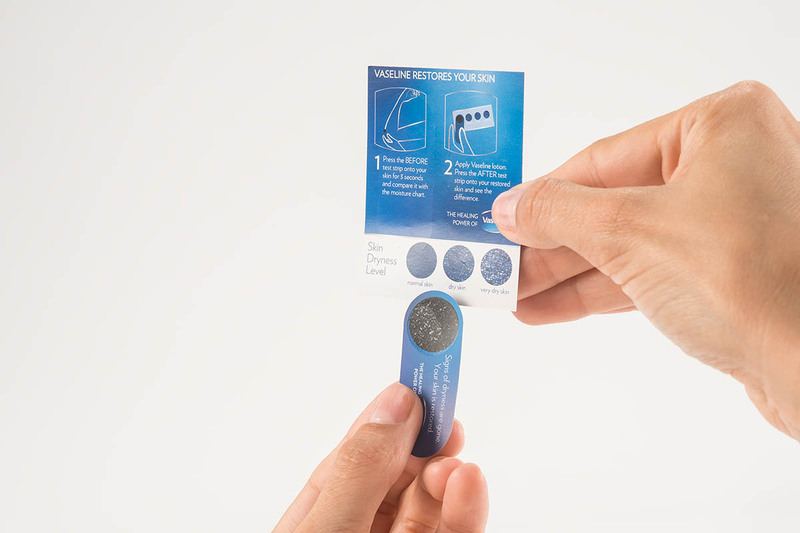 Once the final choices upon the sensory tools had been made USP handled artwork creation, printing and on-time delivery. 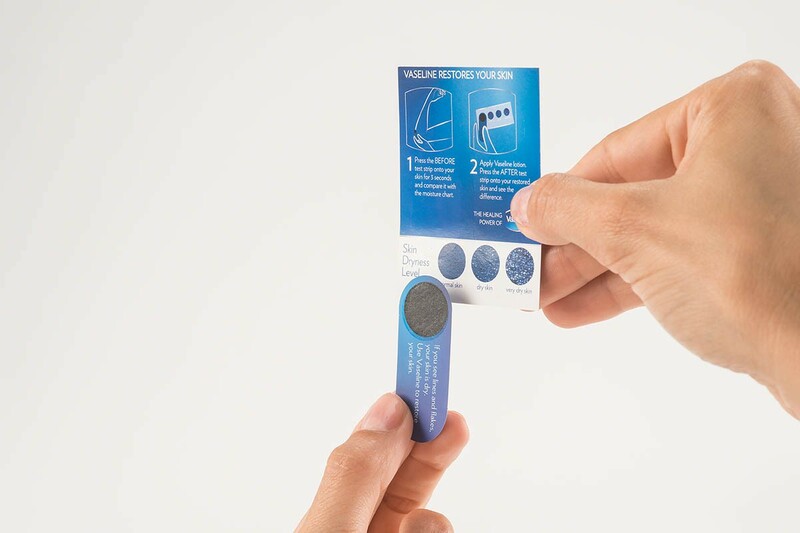 The Hydration Test tool from USP Solutions enables consumers to understand their skin’s moisture level, giving them a moment of truth. 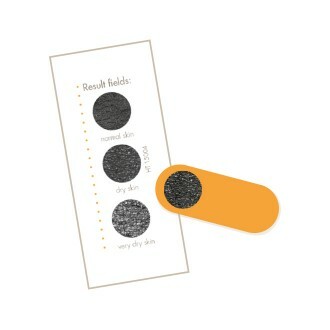 The adhesive test area removes dead skin flakes from the skin’s surface. The more skin flakes removed, the drier the skin is. This knowledge, combined with the VASELINE product information, guided consumers to purchase the suitable product for them out of the VASELINE Intensive Care product range. 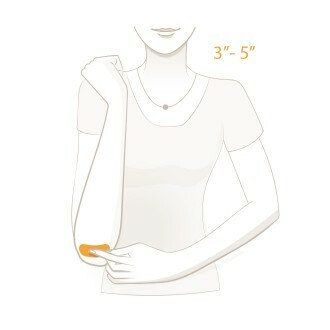 Press the black test area onto your elbow for 3 seconds. Compare the test area with the result fields to identify your hydration level. 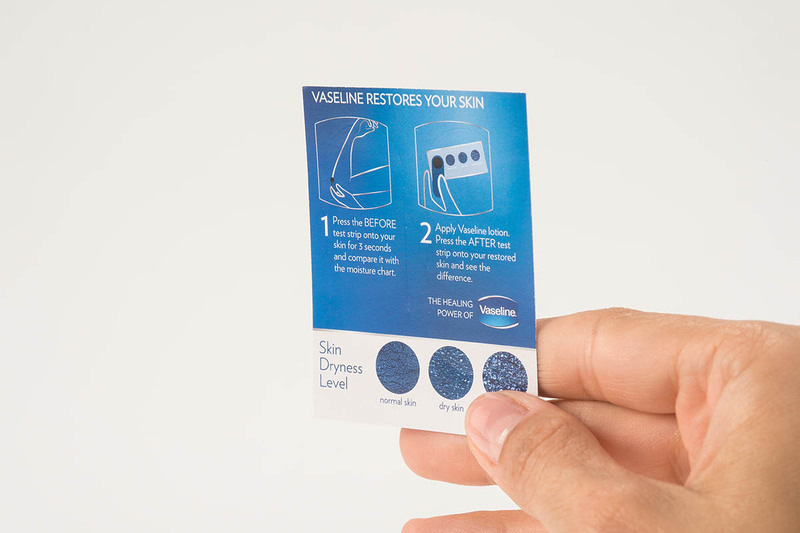 After using VASELINE Intensive Moisturizer, test your hydration level again. Compare the two test areas and see how effective VASELINE’s moisturizer hydrates.